Simplify Your EA With Context And Automation. Find out how Democratized Access to Data-Driven and model-agnostic New EA drives success. How well are organizations in the UK and USA able to use data to support strategy? Ardoq has commissioned a study from Forrester Consulting, which included information from 150 enterprise architecture (EA) and non-EA participants in the USA and UK. 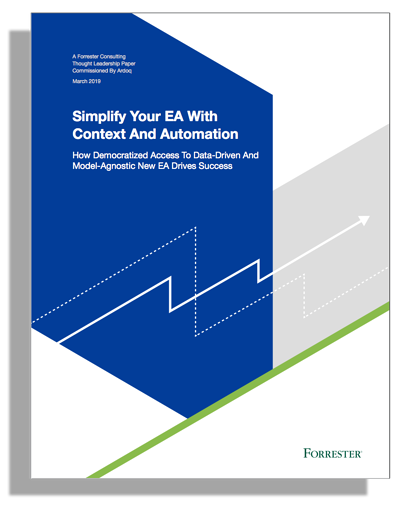 Download the report to find out how to simplify your EA with context and automation.